The administration area provides a way to change almost anything about the site. 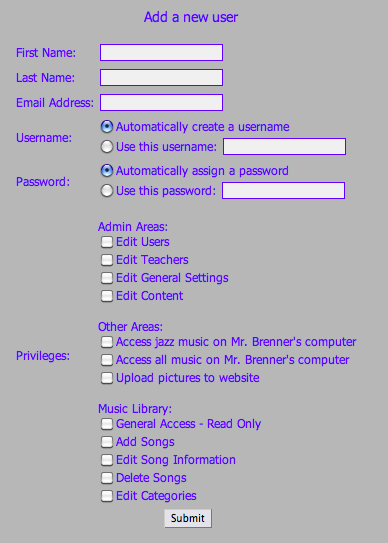 I found a free program* that provides a login page to this area and provides the controlled access I was looking for. Once logged in, users only see what they are allowed to see. As time has gone on, I've added many areas which are all selectable when adding a new user.